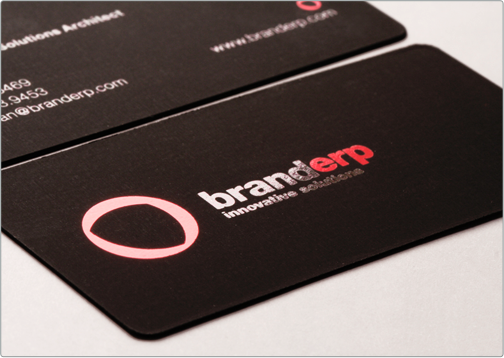 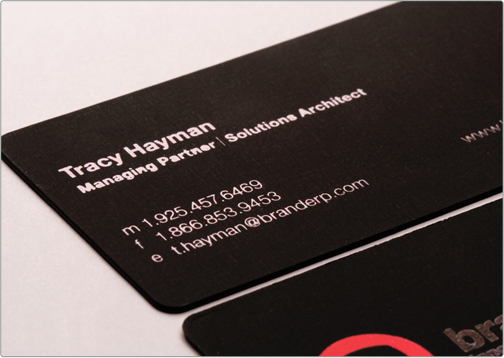 This Black Suede letterpress card was designed for a Property technology solutions firm based in Las Vegas, and specializing in resort information systems. 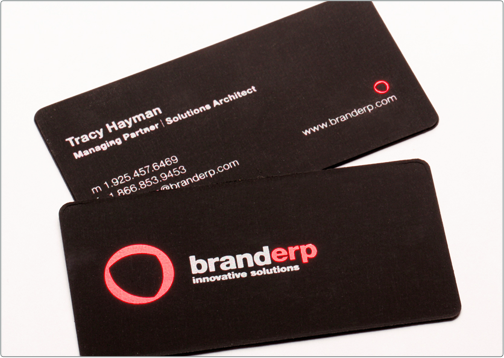 The custom designed logo and word mark are set in red and silver foil, as is the contact information on the back. 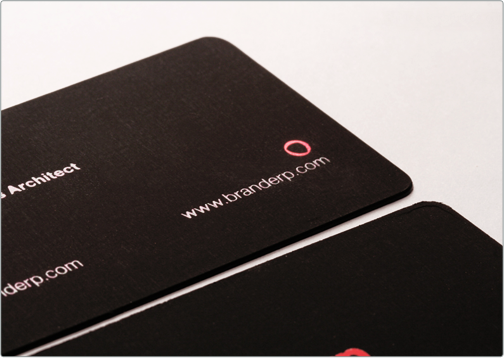 This card has a professional and sleek aesthetic, being classy and dynamic alike.